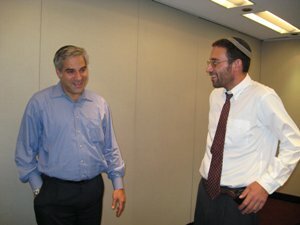 Executive Vice President of the Etzion Foundation. 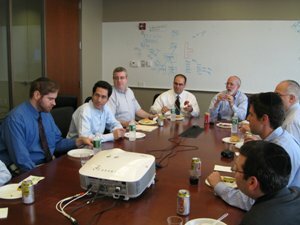 Lunch and Learn with Guest Speaker Rav Menachem Leibtag '77, on Sefer Bamidbar, in Manhattan, on June 28th. 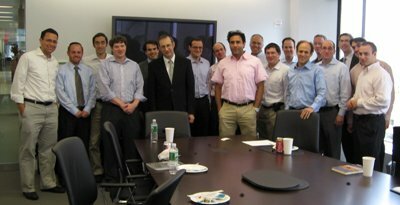 Lunch and Learn with Guest Speaker Rav Moshe Taragin, at the office of Eli Weber, '81, B'Inyanei Talmud Torah and Tisha B'Av. 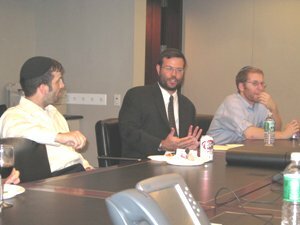 Dinner and Divrei Torah, with alumni of machozim '92-'02, at the office of Terry Novetsky '80, with the participation of Rav Doniel Schreiber '83 and Rav Moshe Taragin '83, July 19th, 2007. July 22nd, Rav Doniel Schreiber gave a timely shiur entitled "Insights into the Halachot of Tisha Be'Av" at Congregation Anshei Chesed in Hewlett, NY. 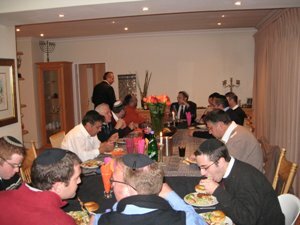 Melaveh Malka in Johannesburg, South Africa, on July 28th, with Guest Speaker Rav Mosheh Lichtenstein '78, speaking on the achievements and personal anecdotes of the Rav zt"l and Hilchot Havdala and Kiddush.